UEFA.com will have reporters on the ground at both of Friday's Group B fixtures, with live analysis, photos, minute-by-minute commentary and reaction in the build-up, during the game and after full time. There will also be extensive coverage on Twitter (@UEFAUnder21) and Facebook (@under21). Group winners Spain will travel two hours south from their base in Gdansk to Bydgoszcz for Friday night's encounter with third-placed Serbia, whose elimination was confirmed by the results in Group A on Thursday. Saúl Ñíguez scored an own goal when Spain lost 2-1 to Serbia in Cadiz in the second leg of the nations' qualifying play-off for the 2015 U21 EURO – a result that dethroned the reigning champions and took the Balkan side into the finals as 2-1 aggregate winners. How do the teams stand in Group B? Spain have qualified as group winners while Serbia are out of the running for a semi-final place. They would finish second if they overcame Spain and FYR Macedonia beat Portugal but even in such a scenario, they would not be able to eclipse the record of Group A runners-up Slovakia. Serbia: V Milinković-Savić; Gajić, V Jovanović, Veljković, Antonov; Grujić (Radonjić 68), Maksimović; Živković, Gačinović; Djurdjević (Ožegović 74), Čavrić (Plavšić 46). Spain: Arrizabalaga; Bellerín, Meré, Vallejo, Gayà; Llorente; Suárez, Ňíguez; Deulofeu (Ceballos 63), Ramírez (Williams 74), Asensio (Oyarzabal 81). FYR Macedonia: Aleksovski; Murati, Zajkov, Velkovski, Demiri; Nikolov, Bardi; Radeski (Pivkovski 86), Babunski (Elmas 58), Markoski; Avramovski (Gjorgjev 46). Spain: Arrizabalaga; Bellerín, Meré, Vallejo, Jonny; Llorente; Ceballos, Ňíguez; Deulofeu (Suárez 82), Ramírez (Williams 75), Asensio (Merino 90). Nenad Lalotović, Serbia coach: "We won't play with two strikers because we can't be as attacking against a top contender for the title. There will be changes in the team due to injuries and suspensions. Spain play the best football and I think they'll win the trophy. Playing against a team like this, you don't need any extra motivation." Albert Celades, Spain coach: "We've had two very demanding games in a short space of time and we want to take advantage [of this opportunity] to give everybody some playing time. Whatever the changes, the important thing is how we approach the game. We have very good players who can be starters at any moment. We're quite relaxed about that. It's important we have the right mentality and come away from here in the best mood possible to approach the semi-finals." The full list of broadcast partners is available here. 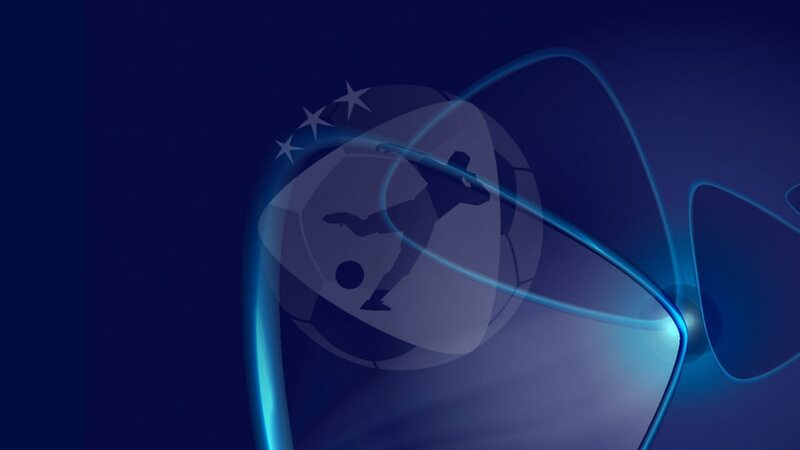 Matches will also be streamed live on UEFA.com and UEFA.tv in some territories. Portugal take on the tournament newcomers in Friday night's final fixture in the Baltic coastal city of Gdynia, and they will be looking to bounce back from Tuesday's loss to Spain, their first in a competitive international in over five years ... and need a big win to retain hope of a semi-final spot. FYR Macedonia's David Babunski and Portugal defender Edgar Ié were team-mates in Barcelona's B team for two years from 2013–15. To have a chance of finishing as the best runner-up, second-placed Portugal must win and score plenty of goals. With Group A concluded, Slovakia sit in second place with a +3 goal difference and six points, while Portugal currently have a zero goal difference and three points. They would be guaranteed to move ahead of Slovakia as best runner-up if they win by a four-goal margin (4-0, 5-1 etc), or win by a three-goal margin while also scoring four (4-1, 5-2 etc). FYR Macedonia are out. FYR Macedonia: Aleksovski; Bejtulai, Zajkov, Velkoski, Demiri; Nikolov, Bardi; Radeski, Babunski (Kostadinov 76), Markoski (Gjorgjev 46); Angelov (Elmas 46). Portugal: Varela; Cancelo, Ié, Semedo, Rodrigues; Carvalho (Sanches 59), Neves, Fernandes; Guedes, Podence (Medeiros 68), Jota (Bruma 46). Portugal: Varela; Cancelo, Ié, Semedo, Rodrigues; Carvalho (Paciência 66), Neves, Sanches (Horta 73); Guedes, Fernandes, Podence (Bruma 57). Blagoja Milevski, FYR Macedonia coach: "We have played, we do play and we will continue to play offensively. We have some changes planned. One reason for the changes is that most of the players are tired, given they've played two good matches against tough opponents over 180 minutes. We have a problem with two players [Boban Nikolov and Darko Velkoski] and will decide on what to do about them before the match." Rui Jorge, Portugal coach: "Myself and all the staff, we've had a few attempts on the calculator – some were more optimistic than others, but it's impossible to get a definitive answer as there'll be other matches played after ours. So our first aim is to win this game, and we'll try to win by as many goals as we can. I know this is something that's often said but it really applies here, though that brings with it a risk and that's something we have to calculate." Bruma scored the goal of the night for Portugal, but Saúl Ñíguez, Sandro Ramírez and Iñaki Williams were all on the mark for Spain to ensure they are the first team in the semi-finals.